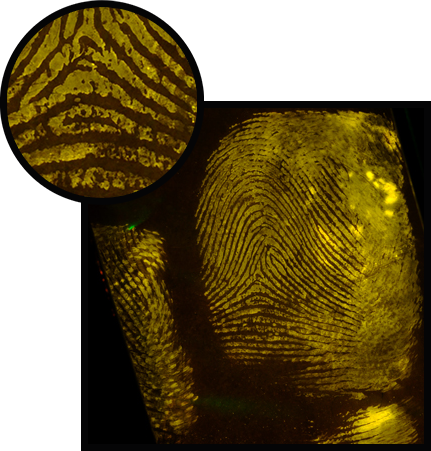 Cyanoacrylate fuming (The Super Glue Method) is the most accurate method of obtaining latent fingerprints today. Unfortunately, the method can be highly dependent on user-defined environmental settings and tends to waste a large quantity of cyanoacrylate. This has led to the development of CyanoPowder®, a powdered, polycyanoacrylate compound that cuts down on wasted materials and enhances results on difficult surfaces. CyanoPowder is a proprietary manufactured ethyl-2 polycyanoacrylate powder that makes weighing out and controlling the delivery of the compound easy. CyanoPowder has no shelf life, unlike liquid glue which will start to harden once opened (typical glue loss due to hardening is estimated to be at least 15% in most labs). It also cleans up easily as all material placed in the dish totally polymerizes leaving no residue material or odors, unlike liquids that require dishes to be bagged, sealed, and discarded. Contact us today to learn more or visit the CyanoPowder page to download product literature and place an order. CyanoPowder is a proprietary manufactured ethyl-2 polycyanoacrylate powder with no shelf life that makes latent finger processing safer, easier, and more accurate than ever before. No Spill hazard as with liquid glue. No touch hazard as with liquid glue. Virtually odorless in powder form, eliminating inhalation health concerns associated with liquid glue. Reduced post-fuming odors reported from residual build-up within chambers. Fuming stops as soon as heat source is removed, unlike liquid glue. Used dishes/foils have no odor from residue and the excess powder can be reused for additional fumings. Effective results on a variety of surfaces, including hard plastics and plastic bags. Excellent ridge and pore outline and other third level details. No shelf life, won't harden, and minimal waste. CyanoPowder provides dependable, accurate results that often result in third-level feature identification (assuming the recommended fuming conditions are followed). While testing is still in process, the reasons for this accuracy appear to be twofold, including the distribution of particle size developed through a proprietary manufacturing process, as well as the physical shape of the particles themselves. CyanoPowder's varied, yet small particle size may allow it to more effectively dissipate when heated. This increases the effective use of the powder and allows complete, even coverage of the evidence being fumed. Additionally, the even dissipation makes it difficult to "overfume" prints, while making it easy to wipe off background fuming residue from most surfaces (including metals and plastics). Figure 1 below depicts the distribution of particle size found in a typical sample of CyanoPowder. Particle shape may also contribute to CyanoPowder's accuracy, as the manufacturing process develops a number of particle shapes that helps to evenly distribute fumes as the substance is heated. 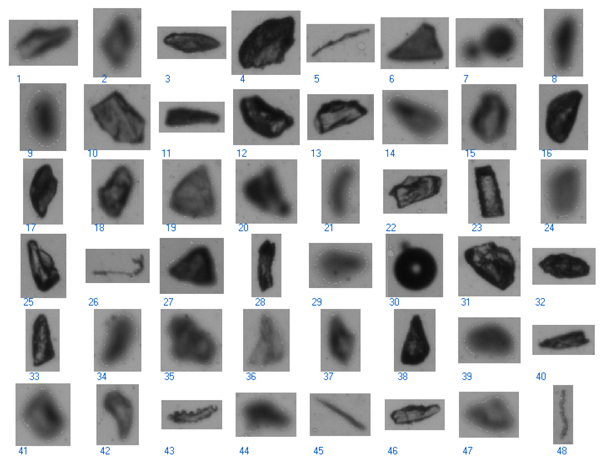 Figure 2 shows the particle shape distribution of a typical CyanoPowder sample. 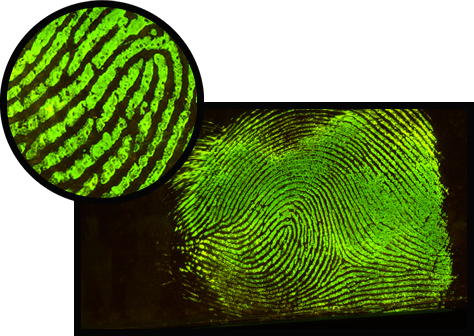 Results may vary, however these photos show typical results obtained by crime lab technicians while utilizing CyanoPowder as the fuming agent. Recommended fuming conditions were maintained and lifted prints showed third-level features including pores and pore ridges. For more information or to place an order, contact us today. You may also download the MSDS sheet here or from our online library. *WARNING: Eye and Skin irritant. Avoid contact with skin and eyes. Contains CYANOACRYLATE. Heating will generate dangerous vapors. Use with adequate ventilation.